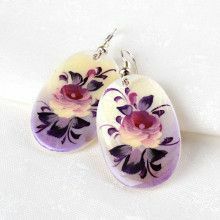 This unique mother of pearl inlay jewelry set is a wonderful display of jewelry artwork. 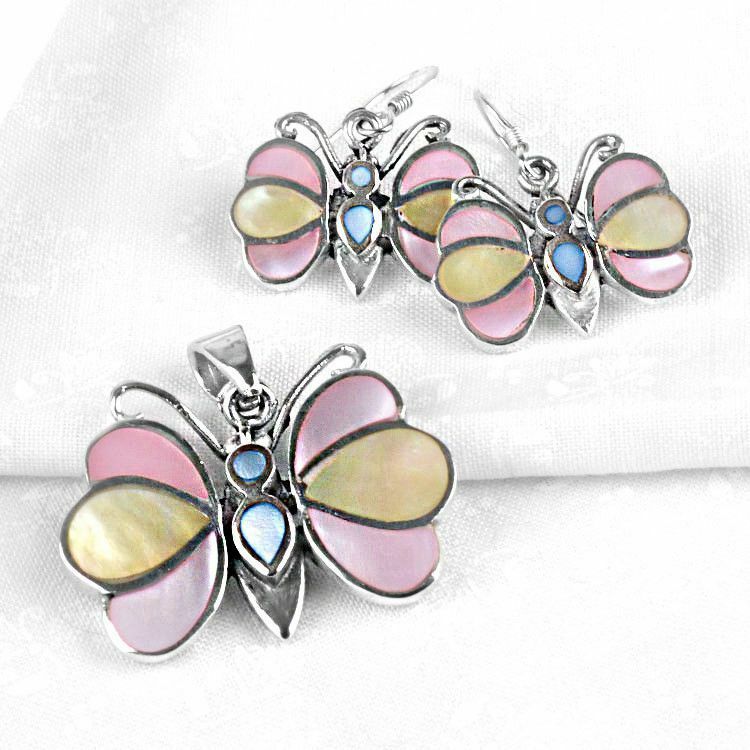 It is a 2 piece set: pendant and earrings. 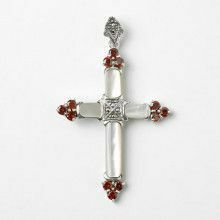 Each piece greatly complements each other. 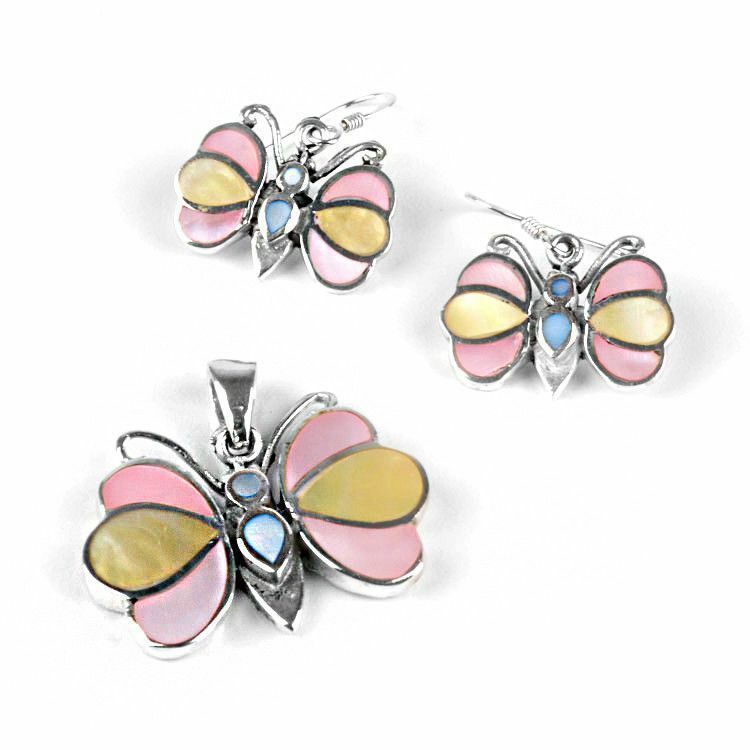 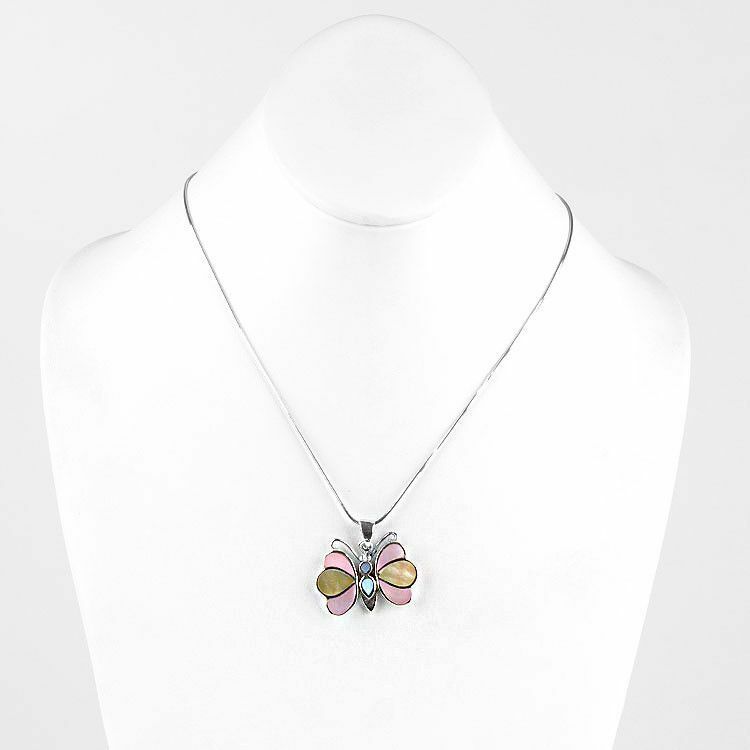 It features exceptionally colored mother of pearl inlays (pink, yellow, blue), which are set in sterling silver in the shape of butterflies. 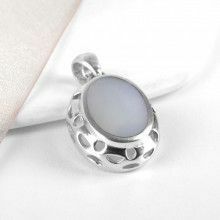 The pendant measures about 1 1/8" long and 1 1/4" wide. 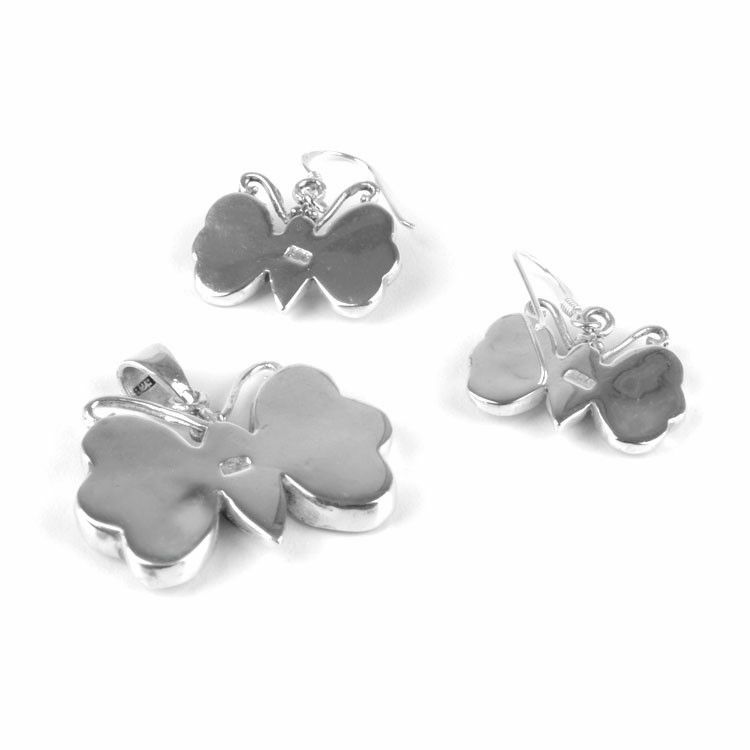 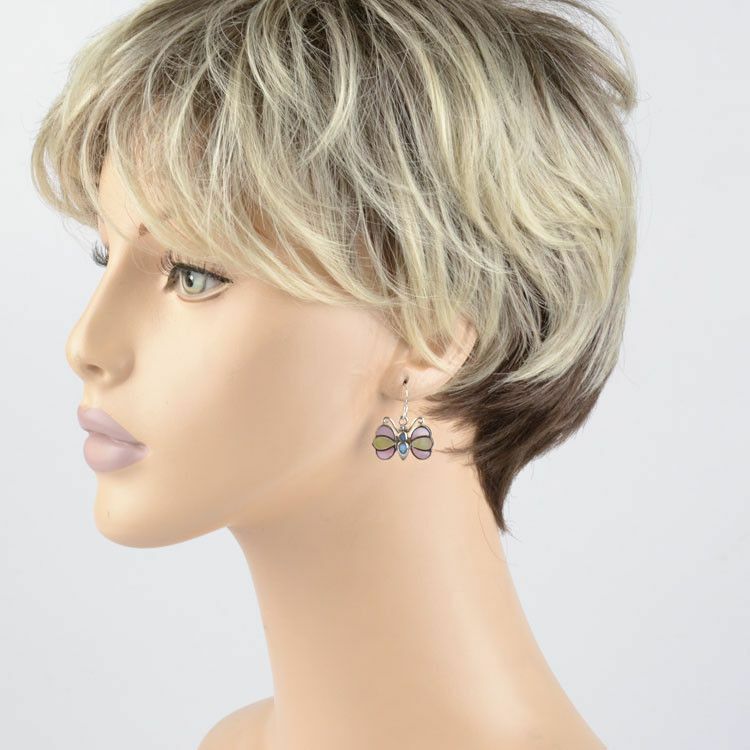 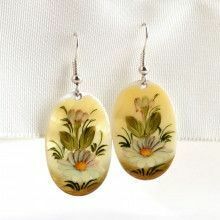 The earrings measure 1 1/8" long each. 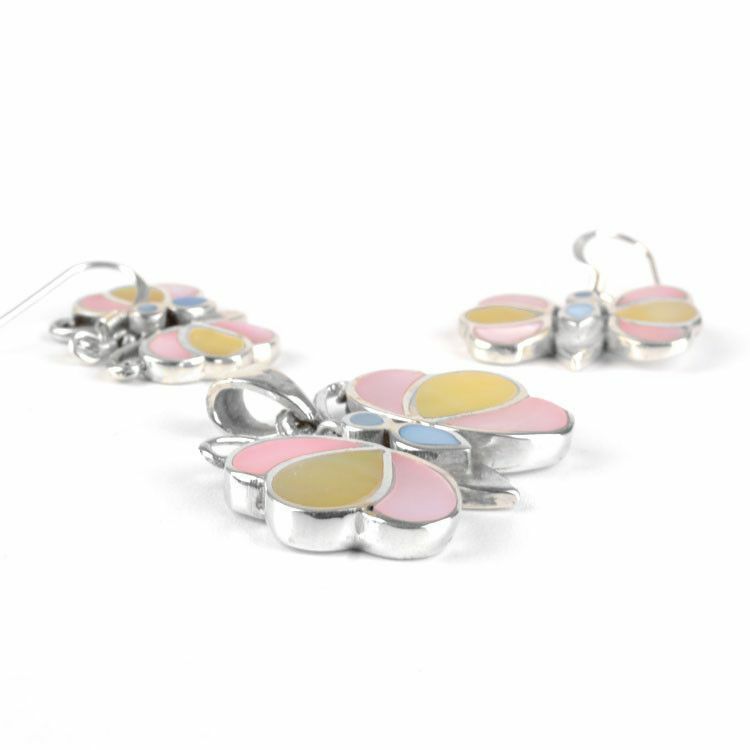 This majestic set makes the perfect gift for today's woman.